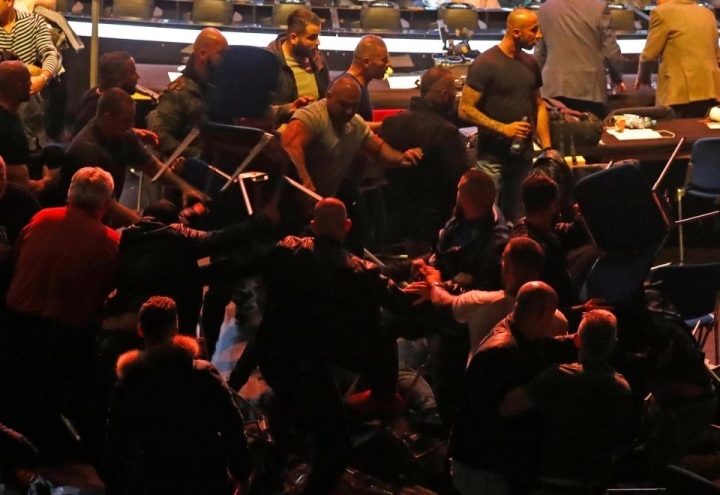 FIGHTING was not just constrained to the ring during Chris Eubank Jr’s fight with Avni Yildirim as brawls broke out in the crowd. 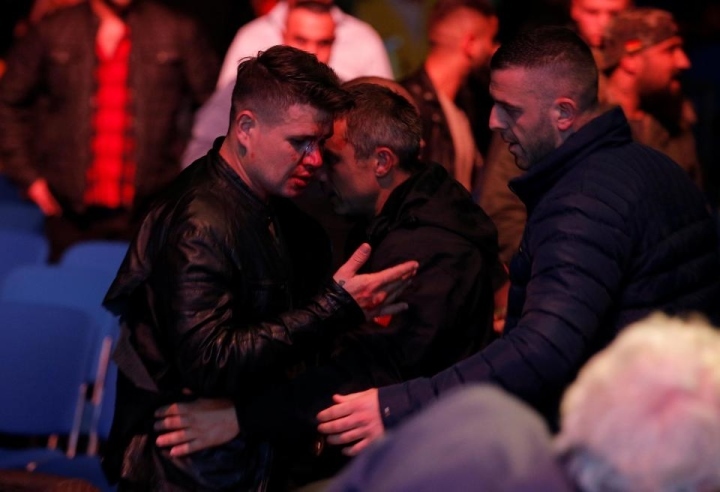 Press conferences between the two fighters had threatened to erupt into violence, with even Yildirim’s manager having to be held back by security. And fans of Yildirim in Germany had promised the Brit a hostile atmosphere, with one banner stating “Welcome to Hell”. 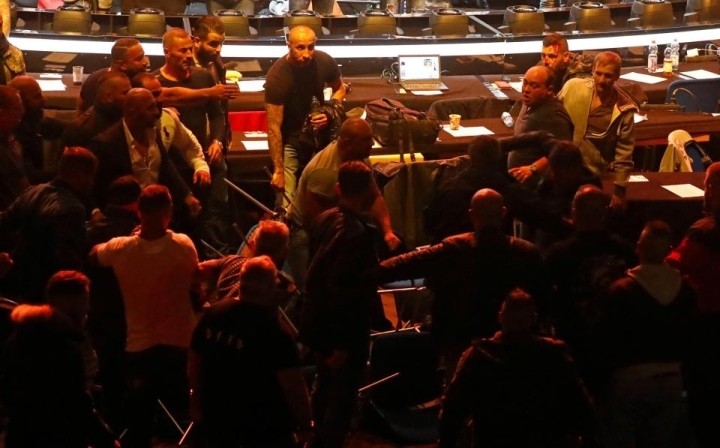 The atmosphere definitely lived up the the billing, with fights breaking out even before the main event started. Two rival groups of fans were seen wading into teacher other, with furniture flying throughout the crowd. Fans were pictured with blood flowing from head and facial wounds as others looked to escape the violence. 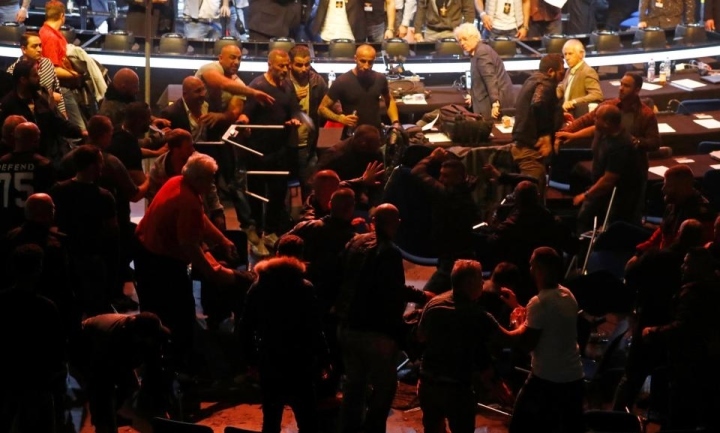 Journalist Declan Taylor tweeted: "Mass brawl has just broken out literally 10ft from press row. Chairs over people's heads, the lot. Eubank not even here yet! 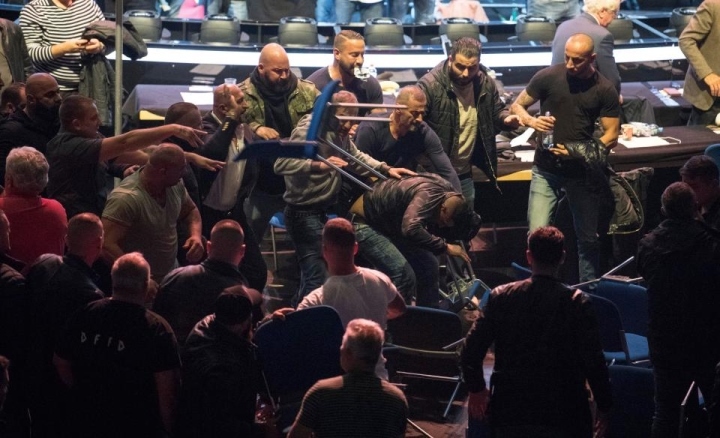 The night didn’t get any better for Yildirim fans, with Eubank annihilating their hometown boy and knocking him out in the third round in Stuttgart. His win has set up a mouthwatering all-British clash against the winner of George Groves vs Jamie Cox, who fight next week.